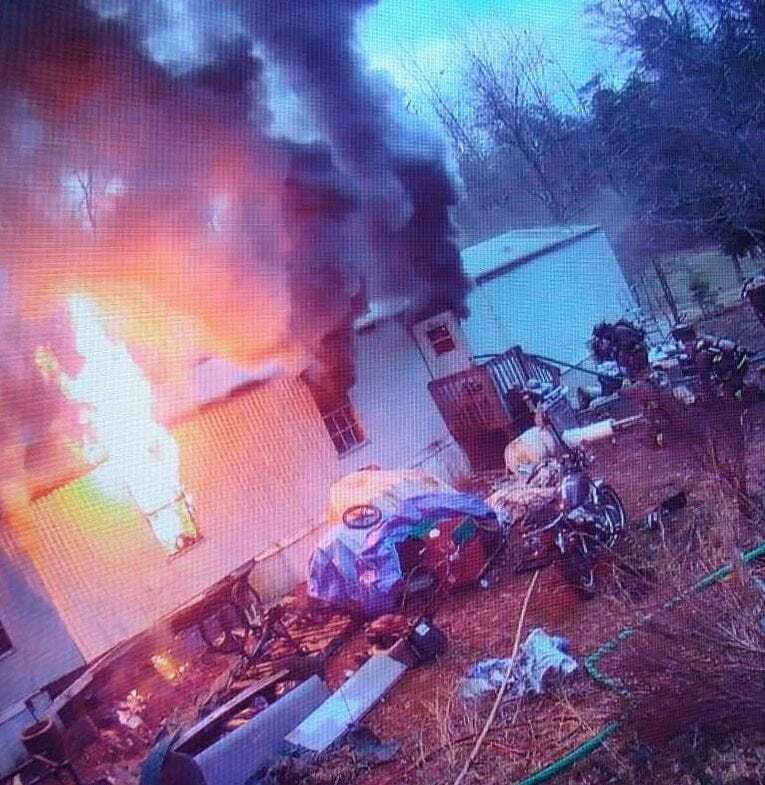 DAWSONVILLE, Ga. – Investigators with Alcohol Tobacco and Firearms, State Fire Marshal’s Office, Dawson County Fire Marshal’s office and Dawson County Sheriff’s Office are working to determine the cause of a fire that destroyed a mobile home at 39 Red Pine Drive Monday. The home was unoccupied at the time of the fire and fortunately, no injuries were reported. Dawson County Emergency Services (DCFES) responded to a reported shortly after 5 p.m. and upon arrival encountered a single-wide mobile home with heavy flames showing from the rear. Crews received reports of a male tenant that was unaccounted for and personnel began an aggressive interior attack to control the fire and perform search and rescue of any victims. The fire was declared under control at 6 p.m. and crews remained on scene hitting hot spots. The unaccounted for male subject was located at another residence not associated with the fire scene.